what was the AMEP in the 1970s? In 2015, I titled this post “A Crafty, Callous and Curmudgeonly Crew”, which was a boating metaphor for the members of cabinet at the time. I found their lack of compassion towards refugees and their use of extremist language, quite shocking and depressing. I have decided to republish the post with some amendments, including the title. Thankfully, opponents of false and mealy-mouthed language are beginning to speak out. The worst offenders have been silenced, especially since the racially inspired atrocities committed by an Australian man in Christchurch recently. This is what happens when good people choose to remain silent. The perpetrator of the murderous rampages in New Zealand was from Grafton, my own town of origin. This is a story about history, and about politics in Australia during the past two decades. It looks at the shift to the extreme right in conservative parties during this time. It also focuses on language, and the importance of choosing the right and proper words. The unfortunate slippery slide away from good choices, has given birth to disastrous consequences, particularly as it relates to racism. Multiculturalism, when it is government inspired, is a bulwark to racism. This brand of multiculturalism reigned proudly in Australia, before its partial dismantling began in 2001. This is not to blame only the conservative side of politics in Australia. Mistakes and false language have occurred on all sides of politics. We’ve always had boat people coming to Australia. Our ancestors arrived here in ships from England. 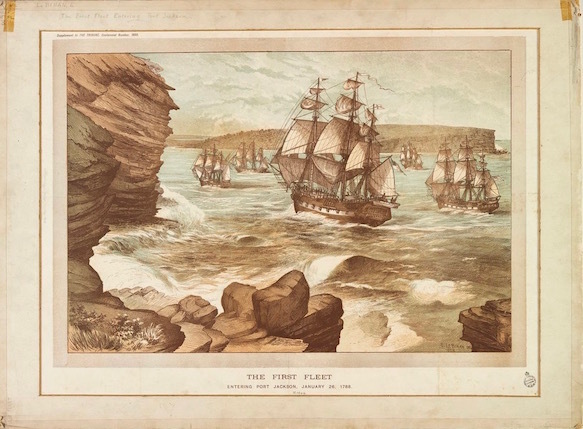 The First Fleet is the name given to the eleven ships which left Great Britain on 13 May 1787 to found a penal colony, that became the first European settlement in 1789. It was a dangerous voyage with many deaths from sickness. For the Aboriginal people it ended very badly with almost total genocide, from both disease and killings. The Aboriginal people must have arrived here by boats from South East Asia, estimated to have been about 51,000 years ago. 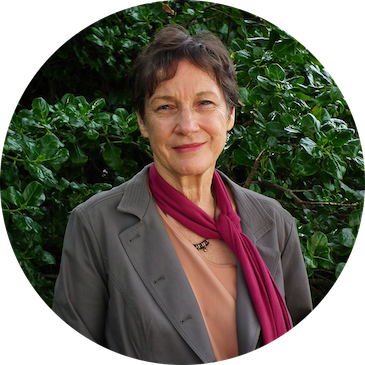 I grew up in Grafton, on the north coast of New South Wales, during the fifties and sixties. I was, perhaps, sensitive to occurrences, at least on an unconscious level, that had occurred in the Clarence region before my time. Later on, I discovered that it was one of these places linked, at least by the Clarence River, to atrocities carried out by the white settlers. These happened during the late nineteenth and early twentieth centuries. As an adult, I referred in my writings to “the hidden underbelly” of Grafton, where “the ley lines are infected with negative veins”. Memories from childhood always stirred up polarised images of light, alongside disturbing dark ones. As a writer, it was the latter that cried out to me, like voices from the dead. In the eighties, my sister Susan alerted me to the book by Rory Medcalf: Rivers of Blood: massacres of the Northern Rivers Aborigines and their resistance to the white occupation 1883-1870, published in 1989. Finding this book was like an epiphane for me. It can be found in libraries and by referencing it in Trove. 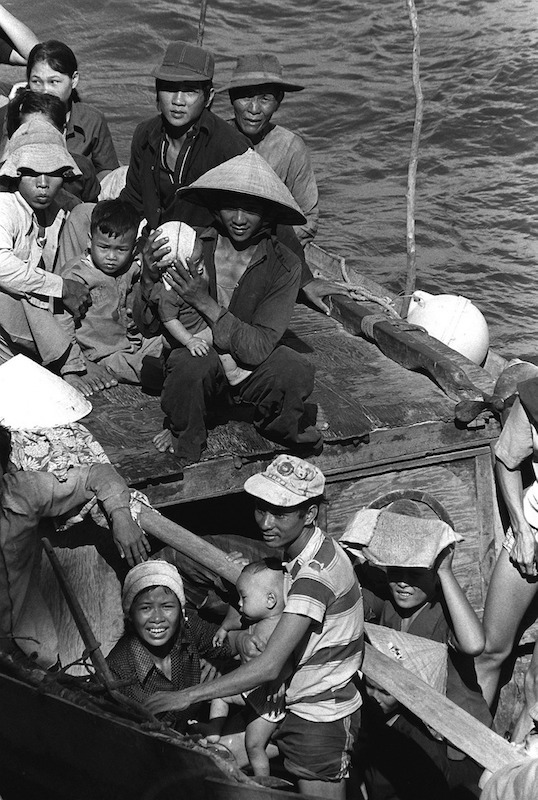 The term “boat people” entered the Australian vernacular in the 1970s, with the arrival of the first wave of boats carrying people seeking asylum from the aftermath of the Vietnam War. Over half the Vietnamese population was displaced in these war-torn years, with most emigrating to other Asian countries. Some embarked on the voyage by boat to Australia. http://www.aph.gov.au. I taught English to some of these refugees as an Adult Migrant English Teacher during this time. We welcomed the immigrants with open arms, the government allotting funds for offering language classes, accommodation assistance and cross-cultural programs. That all changed in August, 2001, under John Howard’s government. That could also be the beginning of the end for the “Multiculturalism Australia” brand as we knew it before that time. https://en.wikipedia.org/wiki/Tampa_affair. So what happened as a consequence of the shift to the extreme right? Why the sudden change and the secrecy that set in surrounding government operations in regard to refugees? Our government had taken on aspects of certain notorious boat people of the past: the Bounty’s Captain Bligh, for example. 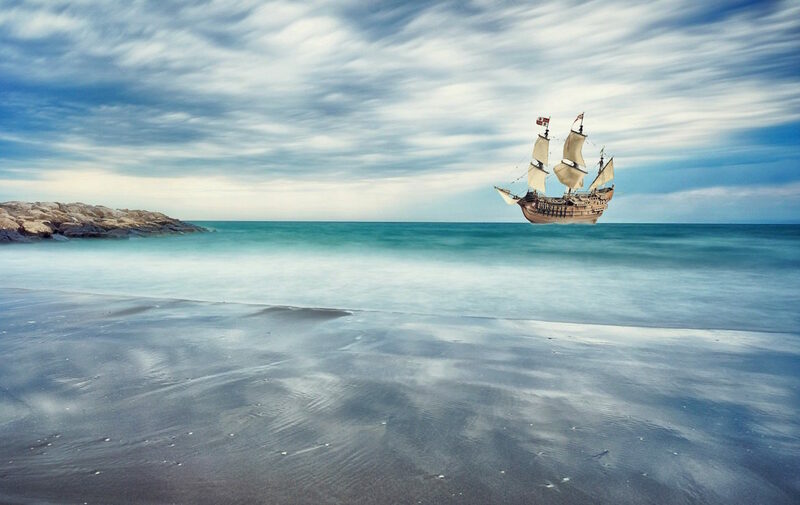 Instead of “Land Ahoy! Land Ahoy!” all we heard now from our leader was “Stop the boats! Stop the boats!” No matter the procedures and processes used. But real and truthful information to the Australian public about those used by the government were absent. The number of people arriving by boat in Australia was very small, and minuscule by comparison with the intakes in other countries. According to the Refugee Council of Australia, in 2010-11, Australia received 11,491 asylum applications. Less than half of these (5,175) were from asylum seekers who arrived by boat. Over the same period, 2,696 Protection Visas were granted to refugees who arrived by boat. This is just 1.3 per cent of the 213,409 people who migrated to Australia during the year. In an article in the Age newspaper, Prime Minister Abbott defended the secrecy of the ”battle”, saying, ‘if we were at war we wouldn’t be giving out information that is of use to the enemy just because we might have an idle curiosity about it ourselves’. If you refer to that newspaper, or to any Australian newspaper this month (March, 2019), a story about the horrific massacre of worshippers in a Christchurch mosque appears on the page. The perpetrator of this unspeakable act was raised in Grafton and attended the Grafton High School. Is this what happens when extremist views are propounded via rhetoric, by the governments of the day? Is this why we have seen thousand of victims placed in terrible conditions in offshore asylums? Both sides of parliament are to blame for this; we, the people, must speak up and choose wisely when we vote. When did the Slippery Slide Begin? Ex prime minister, John Howard and his government, started the whole negative slide with untruthful claims of “babies overboard” https://www.theguardian.com/commentisfree/2014/feb/11/peter-reith-abc-children-overboard-david-marr. This was during the Tampa event that changed events forever: http://theconversation.com/australian-politics-explainer-the-mv-tampa-and-the-transformation-of-asylum-seeker-policy-74078. It was when John Howard looked like he was going to lose the elections that the cabinet resorted to this tactic. Since then, there have been many members of parliament, as well as commentators, willing to carry on the extremist and fake rhetoric. Perhaps member Tony Abbott is the shining example, Howard’s ancestral son. The Conservative Government of 2017 led by Prime Minister Malcolm Turnbull, in spite of its inability to find a proper solution to the treatment of asylum seekers, was at least more respectful in its use of language towards refugees. Then Turnbull “got the chop” by the most conservative members of his party. And for a short while, the ugly voices rose up once again. Let’s hope that a change in government this year, will bring about a more considered and compassionate stance on these issues. I write this on 23rd March, 2019, with a state election occurring today. The environment, health and education are the major “bread-and-butter” issues for me at state level. NB: Bad choices have been made on both sides of parliament. And ex-Prime Minister John Howard was instrumental in changing the gun laws that have made Australia a safer place.